This weekend we went away. Away to the land of lights and gambling, over-the-top-ness and still actually allowing smoking indoors. Ick. It was our friend Ashlei’s birthday, and we met up with her in Vegas, spending a few days (mainly) eating and going to see a Cirque show. Mr M had a little play at Roulette, and actually didn’t lose any money! 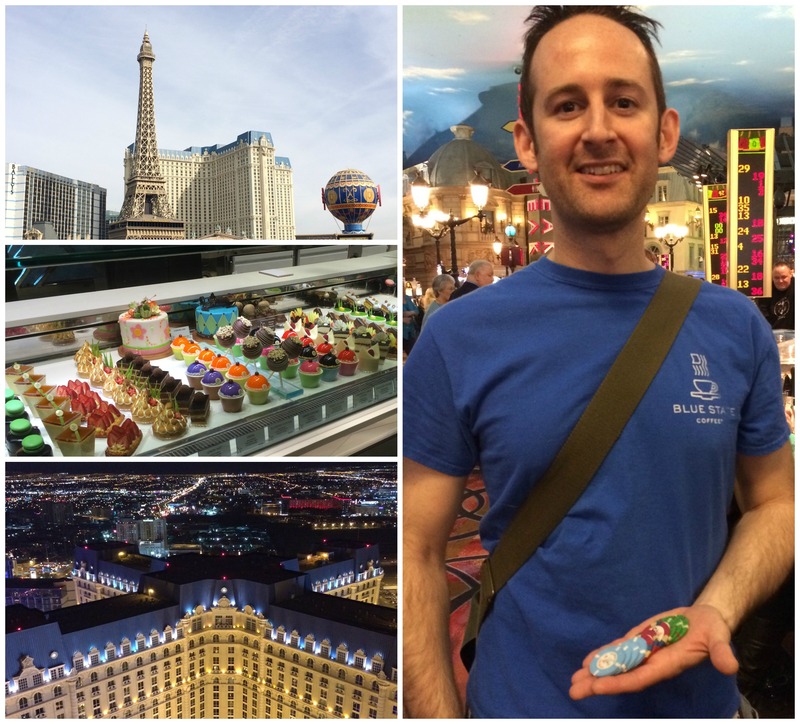 He didn’t come away with much either…. but still. But what about our poor pussycats you ask? A lovely neighbour of ours from our apartment complex came and gave them some love while we were away, so I made her a little something to say thanks! A quick inspection of the fridge and cupboards led to these little pretties. I used the Joy the Baker method to bring out all the citrus-y flavour of the limes, rubbing the zest into the sugar to unleash all the essential oils. Preheat the oven to 180C/350F. Line a muffin tin with paper liners. 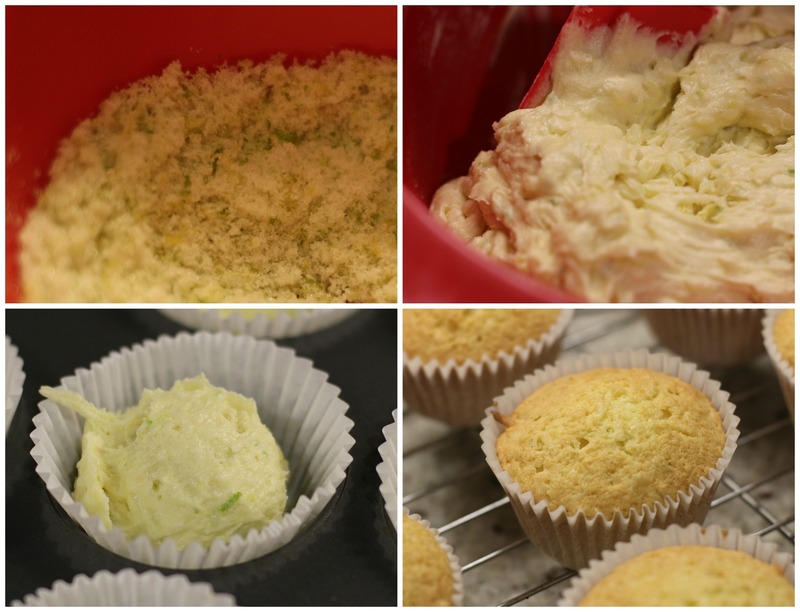 Rub the lime zest into the sugar, then add the butter, and cream together until light and fluffy. Sift together the flour and baking powder, combine with the butter mixture, then add the coconut. Fill your prepared papers with a large scoop, or until just over 2/3 full (you want them to be slightly domed above the top of the cases when baked). Bake for approximately 20 minutes, until lightly golden, and a skewer inserted comes out clean, then remove from the tin and allow to cool on a rack. 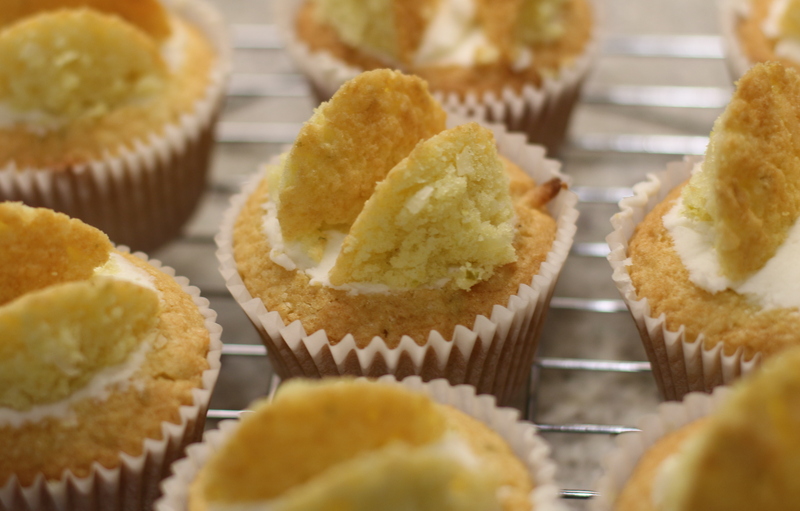 Make some buttercream frosting by combining together softened butter and icing sugar to taste. Slice the tops off the cakes, then cut the removed piece in half. 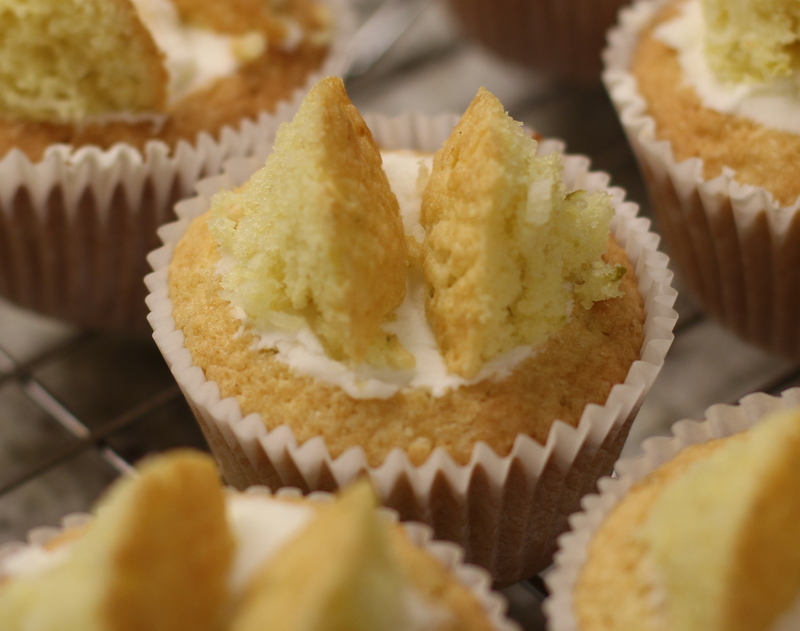 Add a blob of buttercream to the top of the cake, then apply the cake pieces like wings to the top! ← Grainline Studio’s Tiny Pocket Tank.